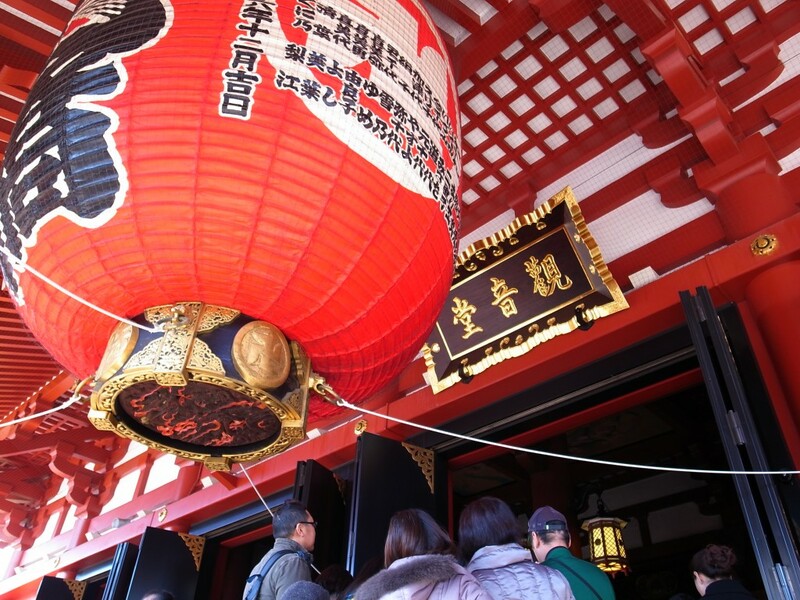 Being an all-time favorite among tourists, a typical weekend view in Asakusa is people smiling and taking photos in front of the Kaminarimon, the famous entrance gate with a large red lantern. 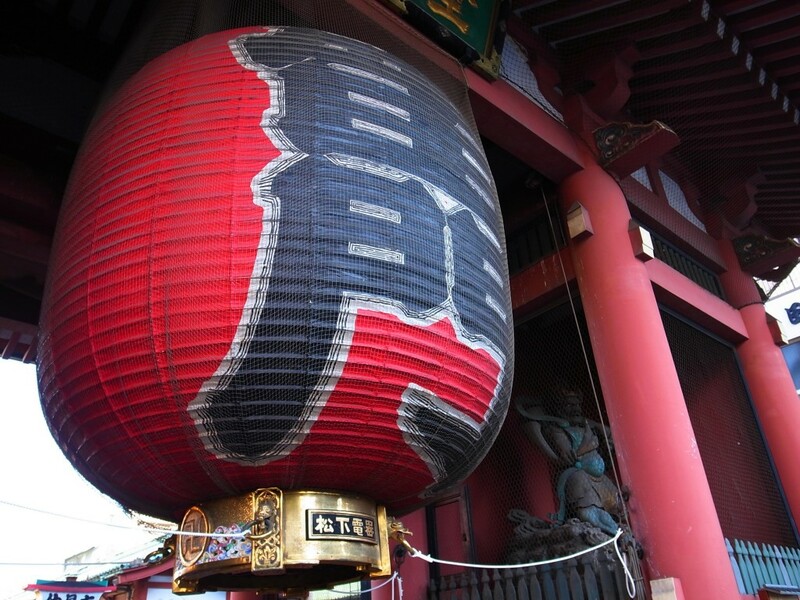 Sensoji is located in the heart of the traditional old town Asakusa. After walking through the Kaminarimon, an 800 feet long shopping street Nakamise Dori entertains you on your way to the temple. 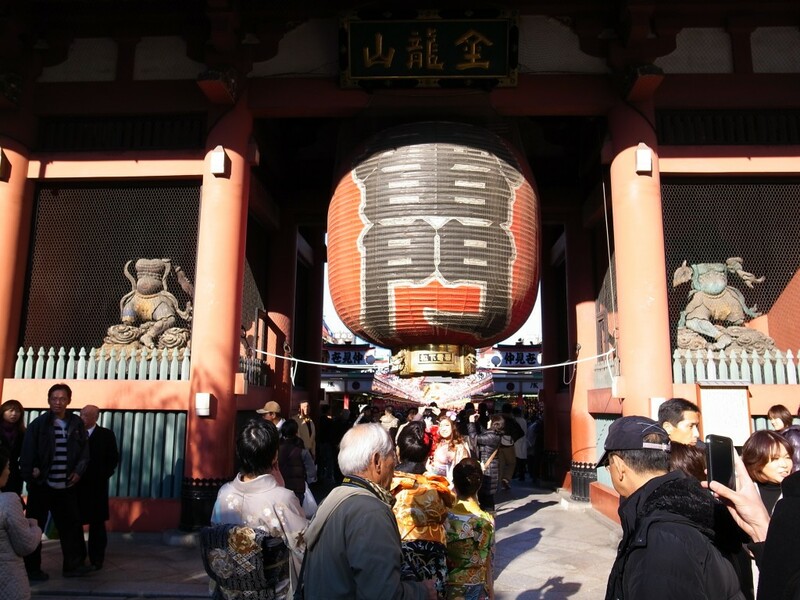 Established in the Edo Era, Nakamise Dori is said to be one of the oldest shopping streets in Japan. 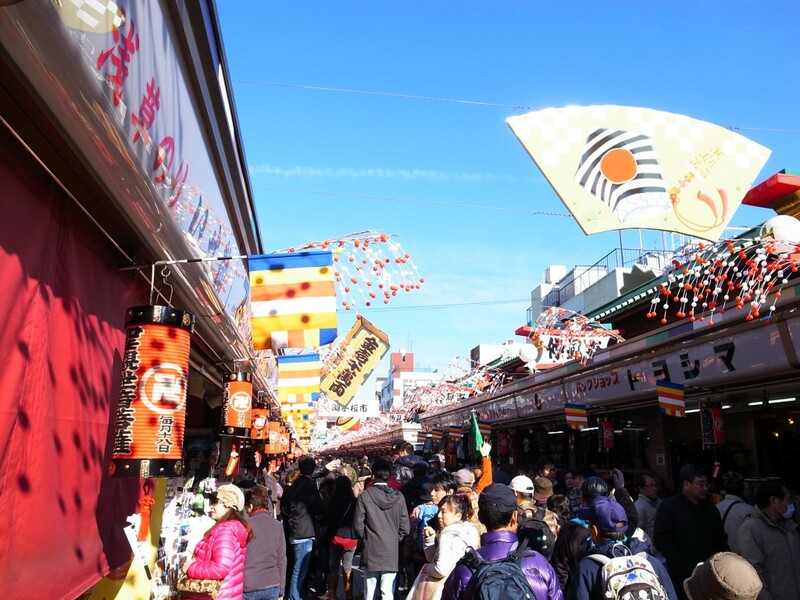 The streets are filled with stores selling traditional Japanese style products such as chopsticks, hair accessories, clogs, fans, and colorful craft papers with cranes and flowers printed, all perfect for souvenirs. Also you can enjoy various types of Japanese street snacks such as odango, ningyoyaki and kaminari-okoshi. 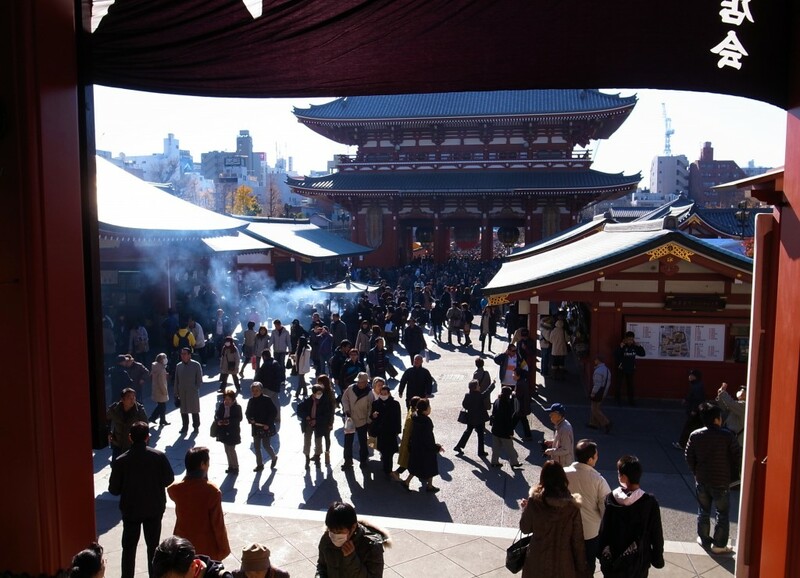 Then finally you will meet the ancient Buddhist temple Sensoji. 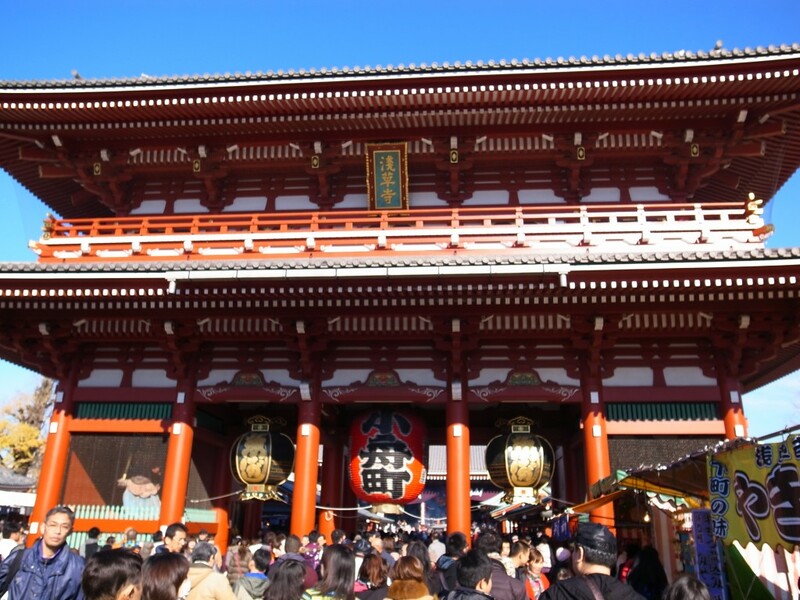 If Meiji Jingu is the most visited Shinto shrine, Sensoji is definitely the most visited Buddhist temple in Tokyo. The temple was founded in 628 as an outcome of an unique event. “Kannon-zo,” a goddess statue was found floating in Sumida River by a local fisherman. 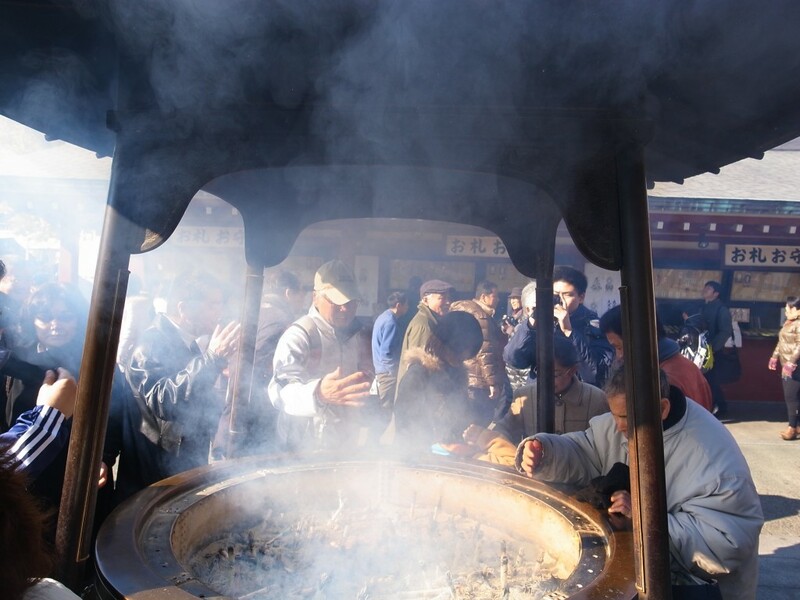 Upon this unique encounter, the village headman decides to dedicate the rest of his life to that kannon-zo, turning his home into a temple and becoming a Buddhist priest. The complex grew larger over the centuries as the local governments held the temple as an important center for worship. 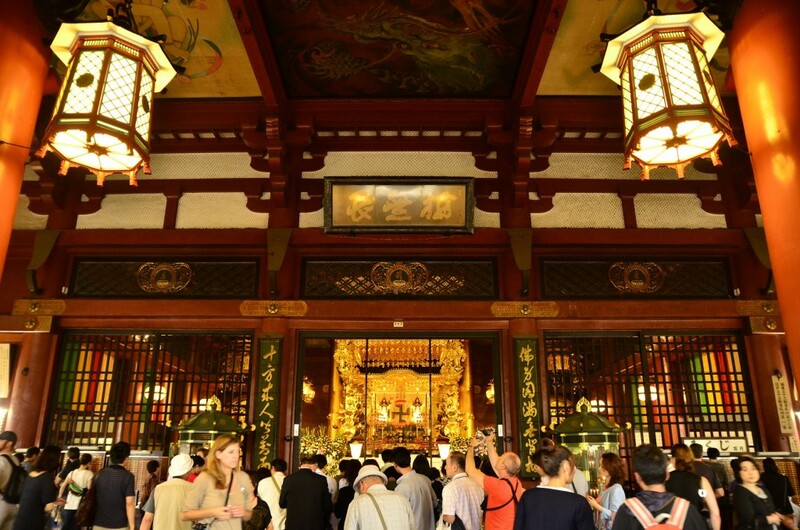 To this day the place is loved and worshipped by many Japanese people. 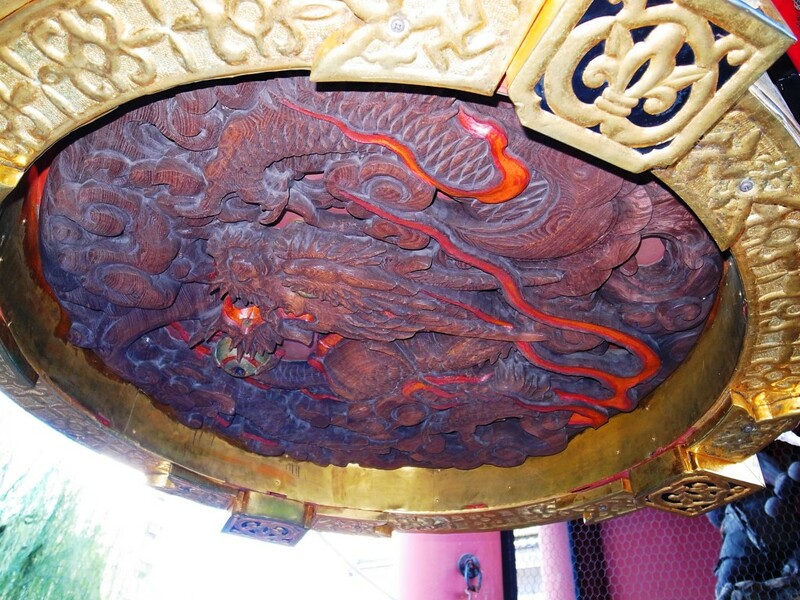 The special kannon-zo is rumored to be a 2 and a half inch golden figure and has been hidden in a safe place since 645, therefore no one has taken a look at it ever since. In 857, “omaedachi,” another goddess statue that people can actually take a look at and give prayers to was created by the priests. 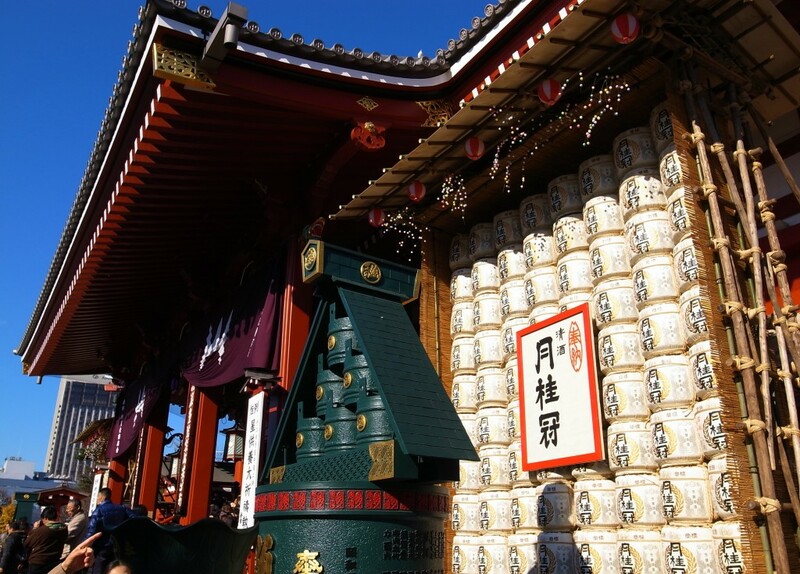 Today, we are able to take a glimpse of this “omaedachi” once a year, on December 13th 2:00pm. 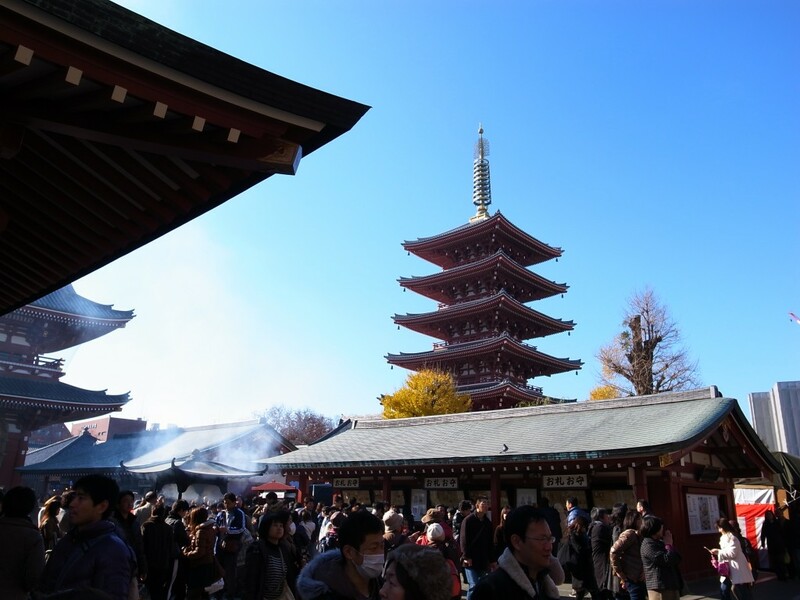 Please contact below to reserve tours to goto Sensoji Temple.